Once you make socca, you’ll never want to live a life without it. 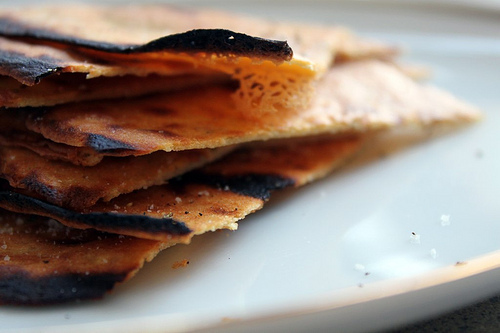 Socca is a thin, unleavened flatbread or pancake made from chickpea flour. 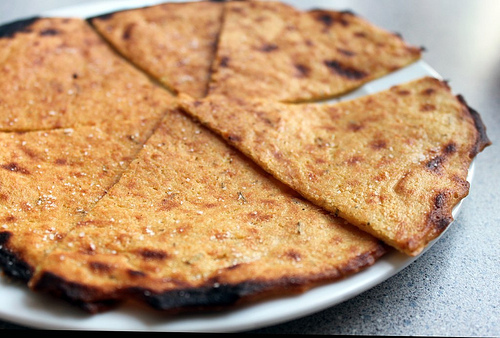 Known in Italy as farinata or cecina, this chickpea pancake was founded in Genoa and became a popular food of the Ligurian Sea coast, from Nice to Pisa. 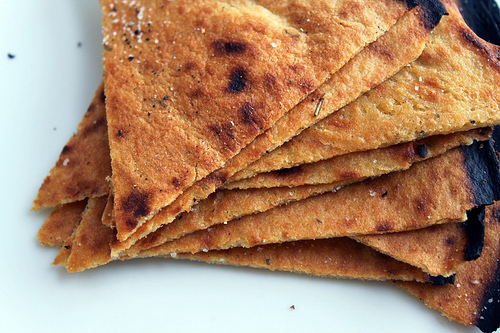 Socca couldn’t be easier to make – simply chickpea flour, water, olive oil, and salt and spices. It is cooked in broiler or open oven until crisp and charred. Socca has gained popularity all around the world; depending on where you are in the world, it might be garnished with more olive oil, salt, pepper, cumin, harissa, or even jam. Despite traveling throughout France multiple times and Italy, I’ve never eaten socca at the source – my experience with socca is limited to my kitchen. For a great write up about socca, check out this post by David Leibovitz. I often default to him for just about anything, especially anything French. My default socca recipe is tweaked from the version in that post, and I think you’ll love it as much as I do. It is a great snack, especially for parties, and makes a lovely appetizer for dinners. I adapted David Leibovitz’ recipe slightly, adding rosemary and including a longer soaking period for the chickpea flour with a little acid to help break down the phytic acid in the chickpeas and make it more easily digested. If you are concerned about heating olive oil to the temperature required in a broiler, feel free to use ghee or another high temperature oil of your choice. Using melted ghee creates a wonderful, rich nutty flavor – but I often use olive oil, to be honest. I’m willing to take a few free radicals here and there, especially for something as tasty as socca. To cook, heat the broiler in your oven. Oil a 9- or 10-inch (23cm) pan with 1 Tbsp olive oil and heat the pan in the oven. I used my 10″ cast iron skillet, which worked perfectly. Slide the socca out of the pan onto a cutting board, slice into pieces, then shower it with coarse salt, pepper, and a drizzle of olive oil. Oh, great day. Thank you for posting this terrific recipe! 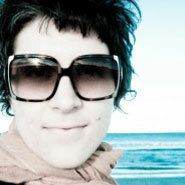 I’m a diabetic low-carber looking for some sort of cracker or flatbread to have beside a bowl of soup. Besan flour is readily available where I live, and I have some on the shelf; I’ve been using it to coat foods for frying. The good part about besan flour for me is not as much that it’s low-carb, though it is a lot lower in carbs than flour, as that chana dal, the small chickpea used for besan, is proven to help regulate blood sugar. Since I am gluten tolerant, I will experiment with adding some wheat bran to this recipe, and also use high-heat-tolerant, health-beneficial coconut oil to broil a batch. 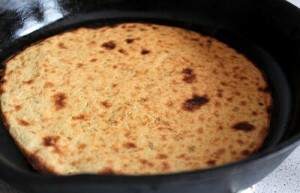 We’ve made this type of flat bread with yellow pea flour and also flour from a soup pea that we grow in our garden. We like to eat it with peanut butter and pickles on top. We don’t have an oven so we cook ours on a cast iron griddle on top of the stove, which means that they need to be flipped to brown both sides. Really easy to make!